​​Tom Brady. The man has five Super Bowl rings, three MVP Awards, 13 Pro Bowl appearances, three All-Pro selections, and a supermodel wife. Yet, despite all the accomplishments in his career, the New England Patriots quarterback hates being called the GOAT. It's time to stop calling Tom Brady the GOAT. I understand there is some superstition involved when being called the greatest of all time during your playing days, but Brady needs to accept the title. His success with the Patriots is unprecedented. He is one of four quarterbacks with more than 500 touchdowns (ranks third behind Peyton Manning and Brett Favre). He has the most wins of all-time. And I know I already mentioned it, but he also has FIVE SUPER BOWL RINGS. 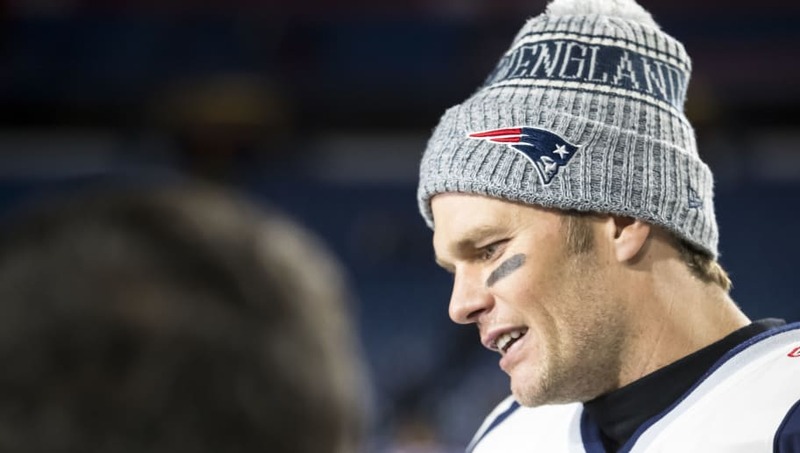 The GOAT discussion couldn't have come up at a better time too, as the Patriots will be taking on superstar quarterback ​Aaron Rodgers and the Green Bay Packers tonight on Sunday Night Football. Packers and Patriots aren’t scheduled to play each other again until 2022. Unless they meet in the Super Bowl, there is a very good chance tonight is the last time Aaron Rodgers and Tom Brady are on the same field. While Brady deserves the GOAT title, it's not like Rodgers is that far behind.